Our event has been upgraded from a bunker to a palace….!! 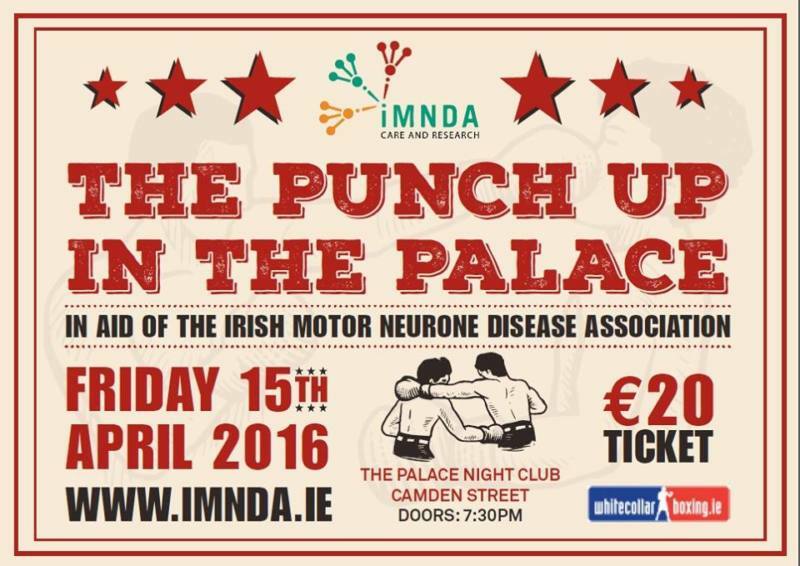 On Friday 15th April White Collar Boxing is coming to the salubrious Palace Nightclub on Camden Street where our brave novice boxers will battle it out to raise money for people with Motor Neurone Disease after 8 weeks of tough training. 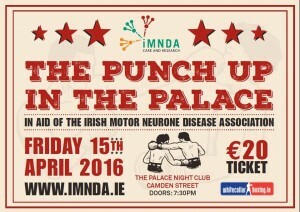 Tickets on sale very soon, watch this space!! Let’s get Ready to RRRumble!